Little ROMs pack for the "Pandora's Box 6" clone called "Arcade Box Super"
(thanks for your quick answer. In your first post i can´t find the informations i need. But i don´t undsterand allready. Wich drive letter i need? Can you copy the important things from your first post? I am not quite sure what I`ve missed... I unzipped both packages onto my USB, changed it to FAT32 and plugged it in. This is what I could understand from your post. ^^ I`m not an english native speaker so I have some trouble understanding and writing texts. I hope you could tell me what I`ve missed! This is great! Thank you so much. I've been using the ROM pack, and loving it. - The USB drive needs to be inserted in the center port or port on the 2P side. The port on the 1P side is intended for the double-ended USB cable that comes with the unit and is used to connect the box as a controller for a PC running its own copy of MAME. - I was able to create my own button mappings from a PC copy of MAME by creating a mapping there (using the tab key), then editing the cfg file (in a text editor) that was created and copying it into the GAME/cfg folder on the USB stick. I needed to delete the colon (:) that precedes the "port type" to get it to be recognized, and change the keycode to map any of the 12 action buttons (joycode_N_buttonX). I used this to map JOYCODE_2_BUTTON3 to the missing "COIN2" entry to start a second player in games with multiple coin slots like Gauntlet and TMNT. - This tiny button in the back of the unit opens the setting menu (for hiding/favoriting games). - Interestingly, I found out by accident by copying files on a mac that its its hidden icon files create a fake game entries that opens up a raw (non-graphical) MAME menu on the box. It seems that any invalid file that starts with "." and ends in ".zip" will do this (e.g. ".MAME-menu.zip"). - My power supply was underpowered/defective and causing random freezes, especially if a USB drive was plugged in. Replacing it with a 3Amp one fixed this for me. I have the same question as @mista. How does the Pandora's box know to boot from the USB drive instead of the onboard system? Also, does this bypass the installed ROMs or will you have access to all preinstalled games as well as the ones on the USB drive? I have not gotten this to work yet. I have followed your instructions and the batch file successfully copied all of the information to my flash drive (formatted fat32 first). It just does not seem to recognize or boot from the USB drive or add the ROMs to the preinstalled games list. I appreciate your help and the time you took to configure this. I am excited about adding these games to my system. The "Arcade Box Super" don't boot from USB and not replace the original games list, simply all the games will be added at the end of the preloaded games list. If you don't want to see the games originally preloaded will have to remove all titles from config menu (little button on the rear of console). Have you tried with another pendrive? You can simply recreate the folders structure on it and test it with a couple of games. Another stupid question, is your console a fake "Pandora's Box 6"? 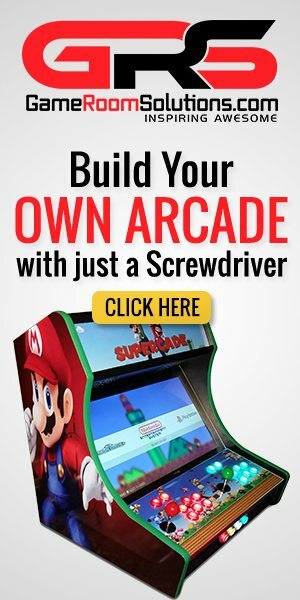 When you power on it on the screen appear "Arcade Box Super"? Thank you for the prompt reply. I understand your answer and thank you. I will try another pen drive and check at the end of the list for the new games. I believe it is a fake, but i will double check and find out for sure as well. So, this only works with the fake correct? Does it work with fake 6s or just 6? Just for reference, this is the one i purchased. I am just posting this in case anyone had a similar issue. The image in the listing shows 5s on the casing, but mine does say 6s on it. Sorry, this is only for a PB6 fake (1099 games), I've also a PB6s fake inside a micro cabinet but this board do not support games added from USB. I suggest only to remove glue from the 8GB Micro-SD and backup it with Win32Diskimager, because I suppose that is a fake card like mine with a probably short lifetime. 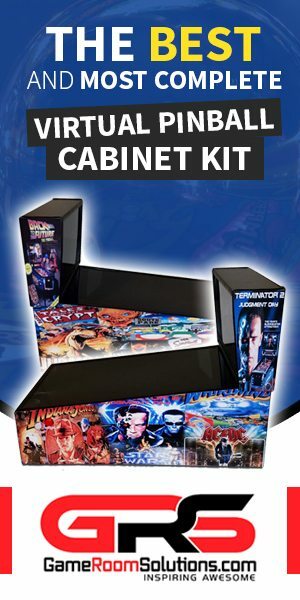 I have been customizing my games set for my Arcade Box Super based on your hard work. 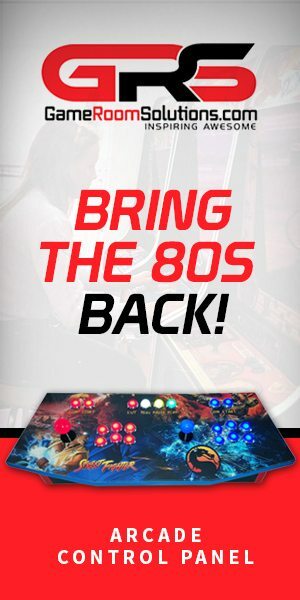 I'm new to MAME but have a programming background and have been trying to learn more about the box. Based on some googling and a lot of trial and error, I've found that it *is* possible to map the joysticks on the box. Instead of the normal JOYCODE_1_UP/DOWN/LEFT/RIGHT codes, I found that JOYCODE_HAT1LEFT/RIGHT/UP/DOWN works for the left joystick. I'll still trying to confirm what codes the second joystick is mapped to. Ok. By trial and error, I've found the following button mappings. I don't understand the weird redundant numbering scheme, especially for Joystick 2, but it works. The only unexplained bit is how the start buttons work. They appear to map to JOYCODE_(1/2)_BUTTON7, but when holding them down both of them generate something else that are both mapped by default to COIN1. It would be nice to figure out what the second start button sends in this case so it can be mapped to COIN2 for games with multiple coin slots, as for now I have to map one of the other buttons as a coin button. The cfg just isn't read by anything. It's weird because I can place roms in just fine, just not the cfg files. Anyone have any experience with this version? Post Reply: Little ROMs pack for the "Pandora's Box 6" clone called "Arcade Box Super"